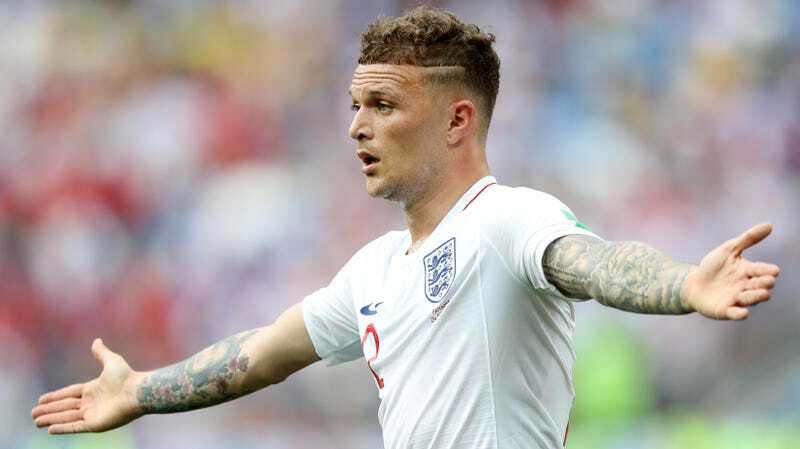 England pulled level with group rivals Belgium after their lopsided win against Panama this morning, giving each national side six points going into their final group stage game against each other. Not only do Belgium and England have the same amount of points, though, but they also have exactly eight goals for and two goals against. That creates a tricky situation if the teams can’t break the deadlock in their head-to-head match on Thursday. As you can figure, any kind of draw between England and Belgium on the final day would continue to keep them exactly even in all of the first six categories, leaving the tiebreaker up to the ridiculous concept of “fair play points.” Currently, Belgium has three yellow cards to England’s two, so unless they can make up that ground, an extremely arbitrary points system will keep the English on top of the table.. But there’s an extra layer to the weirdness. Based on the expected results of the group stage, the winner of Group G will, more likely than not, get placed in the same quadrant of the bracket as Brazil and Germany, while the group runner-up would get a probable quarterfinal match-up with either Mexico or Switzerland. No offense to either of the latter two teams, but everyone in the world would rather play that game’s winner instead of Brazil or Germany. This match-making requires looking ahead past the Round of 16, but still, the winner of Group G probably won’t feel like much of a winner at all. It’s hard to imagine that either side will adopt the kind of losing mentality that would see them chasing ejections just to avoid a tougher quarterfinal. But if a player does manage to catch a red from the ref—or even better, a yellow and then a straight red—don’t expect the fans to act very disappointed. We might as well just go with the drawing of lots.